If anyone ever wants to have a better understanding of Independence Day and why Americans are hold it high alongside holidays like Easter and Christmas, the book to read is 1776 by David McCullough. Never mind that not every American has read it. For some, it is in their blood. For everyone else, however, those who see the promise but not the cause, it taps a collective unconscious. What makes the book so extraordinary, a historical account that ought to be required reading in high school, is that it truly touches on the passion that is sometimes too easy to take for granted. It is the story about how every American was touched by one of the most riveting years in this country's history. 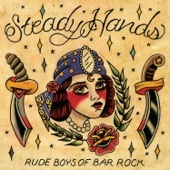 It is the story of how dock workers, tavern owners, schoolteachers, shoemakers, lawyers, politicians, accountants, and farmers of every color and creed quickly trained themselves up to become a loosely formed band of soldiers with the will and audacity to take on the most disciplined army in the world. The odds that they might win was a remarkable improbability. The idea was a bleak as it was bold. What makes 1776 shine all the more is that it's not just about Americans. It also sheds light on other perspectives too — British soldiers, American loyalists, Hessian mercenaries. McCullough is very adept at capturing the passion of these men and women too, portraying the valor they lent to their cause rather than merely being foils for the patriotic underdogs. Brining these various stories together, especially because McCullough has a rare gift to turn deeply researched accounts of British and American records into intensely human drama, paints a rich and more complete understanding of everything. Everyone who lived in the colonies put their livelihoods and lives on the line for liberty. The book opens in London in October of 1775. 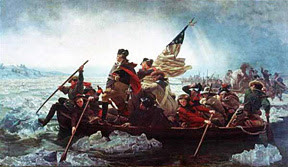 His Majesty King George III declared that America was in full rebellion. McCullough then provides snapshots of the theater in which it all takes place — from the Siege of Boston to the Battle of Brooklyn. As history unfolds with every turn of the page, it becomes painfully clear that Gen. George Washington was outmatched, narrowly escaping complete defeat only because he was in a constant state of retreat. To help tell his story, McCullough brings to life unlikely heroes like Nathanael Greene, a 33-year-old Quaker farmer who rose from militia private to major general, and Henry Knox, a 25-year-old bookseller from Boston who would later become the first United States Secretary of War. (Knox didn't even have a commission in the army when he took charge and directed cannon fire during the Battle of Bunker Hill.) Both men were typical of the times. Many had acquired an education without formalities. A few graphs about author David McCullough. 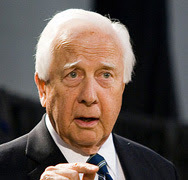 David McCullough is an American author, narrator, and historian. He originally intended to pursue a career in politics and in the arts, but was swayed to become an author after meeting Thornton Wilder at Yale. Upon graduation from college, he moved to New York City and became an editorial assistant at Sports Illustrated. He might have stayed on, but found himself excited by the Kennedy era and took a job with the United States Information Agency in Washington D.C. When his fervor for government work ran its course, he became a full-time writer and editor for American Heritage. His first book was the Johnstown Flood. This book 1776 was written as a companion to his Pulitzer Prize winning biography John Adams. He had felt Adams was largely overlooked, often overshadowed by the colorful Thomas Jefferson. In many ways, 1776 is a continuation of McCullough's research in that provides a portrait of everyone from the citizens and soldiers as well as the well-known George Washington and King George III. 1776 By David McCullough Reignites History At 9.5 On The Liquid Hip Richter Scale. 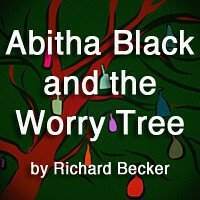 Despite having read the book on two occasions, the story never becomes dull or drawn out. One of the tiniest details that stood out and has stuck with me for some time is how many British were envious of Americans at the time. Not only was there more opportunity in the colonies, but everything was new. In their eyes, the colonists were spoiled. In the eyes of colonists, however, they were bullied and bruised. 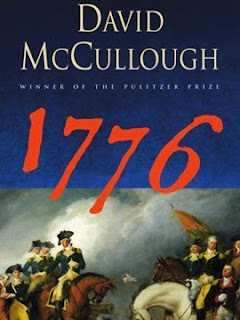 1776 by David McCullough is available on Amazon. You can also find the book at Barnes & Noble or download it for iBooks. The audiobook is narrated by McCullough. There is no question why he is a celebrated lecturer. As a side note, we included the famed crossing of the Delaware because it typifies the American cause. Men and women of different races are working together to achieve a victory for liberty.